Frank West, back in Willamette Mall, neck-deep in zombies all over again. Who says there's no going back? In the latest trailer for Dead Rising 4, protagonist Frank West returns to where he belongs: the Willamette Mall. When he’s not slashing limbs off zombies, he’s snapping selfies with them. We also catch another tiny glimpse of the plot: is this possibly a military experiment? Have a look, as Frank bashes, shoots, and smashes entire hordes of zombies, including with his new powered exosuit. As we’ve seen in previous trailers, Dead Rising 4 is still about hordes of zombies and improvised weapons. You can even attach items to the exosuit, just in case flipping a Humvee and literally tearing a zombie in half are too subtle for your taste. Xbox One players, are you psyched? You should be. Dead Rising 4 is a timed exclusive for Xbox One for 90 days, after which it’ll be released for Windows 10. Xbox One exclusivity runs lasts for a full year, after which it may appear on other platforms. That’s all we know at this point, although I’m sure PS4 players would appreciate the chance to maul zombies. 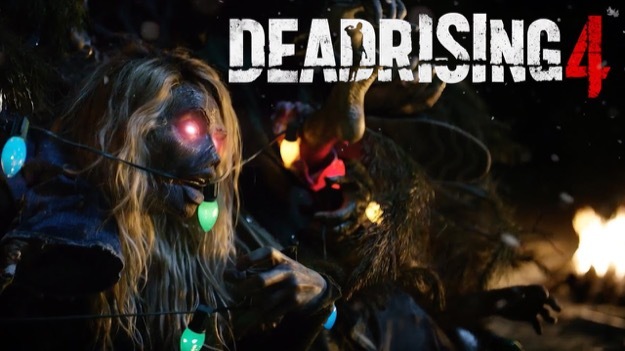 The cheerful, holiday-themed Dead Rising 4 will be in your favorite shop on December 6. Pyroman and Harrrry like this.